How to pack holiday decorations when moving? Seasonal decorations help us get into the joyful holiday spirit and have a truly magical time, especially if that magic is fueled by cheerful songs, radiant smiles, warm embraces, and most importantly, wonderful presents. Holiday decorations are something very special, for they not only make ordinary rooms and boring homes more welcoming and more beautiful than ever, but they also tend to bring warmth into most people’s hearts and maybe even tempt them to become a notch or two happier as a result. Yes, holiday decorations are something exceptional, but they are also too fragile to be handled, packed and stored just like any other household items. And when the time comes to move your seasonal decorations to another home, the delicate task of packing up holiday decorations turns out to be nothing less than a testing challenge. How to pack up holiday decorations for a move? In reality, you may be asking yourself this very question if you are scheduled to move to a new home soon after a particular holiday is over (Christmas, Easter, Halloween, etc. ), or if you need to repack your already stored holiday decorations simply because after the most recent holiday season had come to an end, you didn’t even think about packing them in a way so that they would survive a residential move. Here are some practical tips for packing up your holiday decorations which will help you keep the holiday spirit alive even after you relocate to another residence. The first important prerequisite to find your breakable holiday decorations intact when you arrive in your new home is to make sure you obtain the right kind of quality packing materials for the packing operation ahead of you. Original packaging. 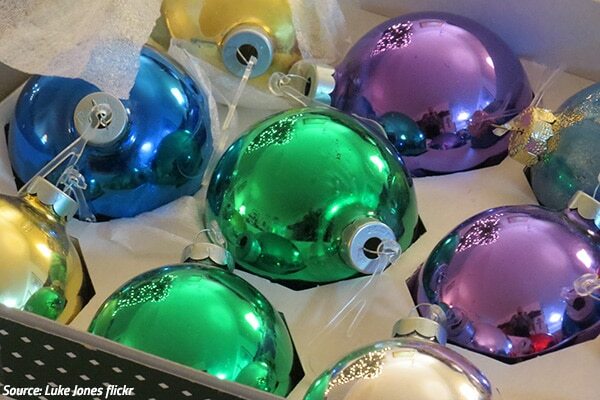 The best way to keep your holiday ornaments safe on the road is to pack them in the initial packaging you purchased them in. It’s not a secret that original packaging provides the best protection possible, not only for your precious festive decorations but for any other fragile household item you have in your home as well. Cardboard boxes. 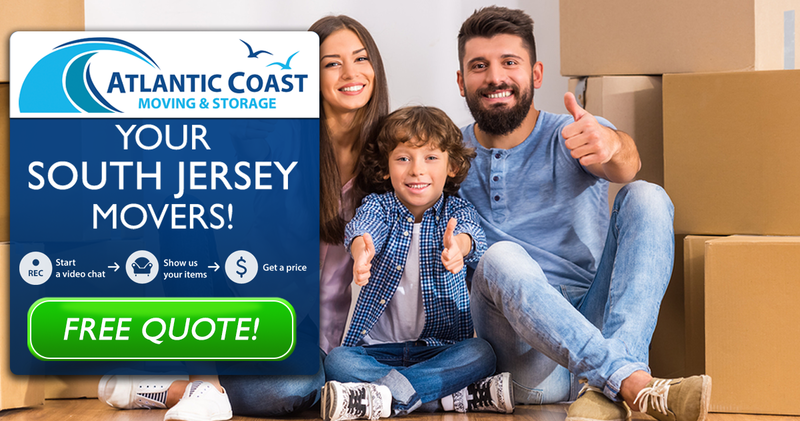 You shouldn’t worry if you don’t keep the original storage containers as there are always good options when it comes to packing fragile items. Look for small to medium sized cardboard boxes in good condition, make sure they are strong, clean and dry. Shoe boxes are never a bad choice, but your best option is still boxes with individual cardboard dividers for each ornament. Plastic bins. Plastic containers are ideal when it comes to packing holiday decorations when moving house, especially if they have dividers as some liquor boxes do. The sturdiness of plastic boxes will make sure your prized decorations won’t get broken during the moving process. Plastic shoe boxes are perfect for storing holiday ornaments of high sentimental value. Unusual moving containers. Be creative when looking for practical ways to pack your holiday decorations. Christmas cookie tins can be extremely useful for storing smaller decorative items, while egg cartons will preserve your individual Christmas balls in their compartments. Packing paper. Be sure to use soft packing paper to wrap your holiday ornaments and protect them against accidental breakage. Resist the temptation to pack your cherished seasonal decorations with newsprint because the ink could ruin some of the pieces forever. Bubble wrap. Bubble wrap will be indispensable while you’re packing up your holiday decorations for moving house, so make sure you obtain more air-filled plastic sheets than you think you need – you can always use any leftovers for packing other fragile items in your home. A roll of quality tape. Never place tape directly onto an ornament to avoid damaging the piece. A black marker. Labeling your packed boxes full of holiday decorations is really important – read more about it below. Once you have obtained the necessary packing supplies, it’s time to get down to business. Follow these easy steps to learn how to pack your holiday decorations for a safe move. There’s really no point in devoting valuable time to pack and move holiday ornaments you no longer like, or broken, worn out, scratched, or even severely outdated ones that have already served proudly their original purpose. Your upcoming relocation is the perfect time to get rid of all irrelevant decorations once and for all. Throw away your already ruined pieces and give away the good decorations that don’t match your taste anymore. There isn’t one universal way to pack holiday lights in such a way that you don’t find them in a tangled spaghetti-like mess after the move. Probably the best packing method is to use specialized plastic spindles for wrapping lights, but they don’t come for free. Another good way is to use empty wrapping paper tubes or empty kitchen paper rolls and wrap the strings of lights outside the tubes so that they don’t get tangled. The packing trick here is to use plenty of packing paper and enough bubble wrap for your most delicate ornaments. Don’t wrap your decorations directly with bubble wrap as the latter might stick to them and damage them in the end, especially if you’re moving during the hot summer days. Instead, use extra soft packing paper first and then put a protective layer of bubble wrap between the already wrapped pieces, and finally place your Christmas, Easter, Halloween or Birthday decorations gently in a suitable storage container as discussed above. Once you’ve safely packed up your cherished ornaments in boxes of all shapes and sizes, make sure you fill up any remaining place inside each container with crushed paper or bubble wrap, or even both. This is an important step that will ensure there is absolutely no movement inside the moving boxes – movement that could prove to be too much for your decorative pieces. It’s fundamental that you write the contents of each packed box on its side for easier identification not only after the move but also just before a holiday when you will need the decorations again. This improvised list of what can be found inside each container will save you loads of time later on, so don’t skip this labeling step. Also, use a black marker to write “FRAGILE” and “THIS WAY UP” on the boxes full of beautifully wrapped holiday ornaments. Finally, here’s a good masking trick you can take advantage of after the move is all over. If you do happen to find some scratches on your holiday decorations when you’ve opened the boxes in your new home, you can have your kids place colorful stickers on top of the scratches to mask the minor transportation damage. Dripping melted wax on slightly damaged holiday decorations and then rolling them in glitter is another post-relocation trick you can use to avoid losing the festive spirit in general. Not a bad thing to say as the move was flawless and a job well done! Good job! Everyone was very helpful and gracious putting up with all my move anxieties.